Each new post is an opportunity to reach out to your customers through social media, newsletters and other marketing channels, so planning and scheduling your blog posts helps to structure your entire marketing effort. There are other advantages to scheduling blog posts. Writing posts in advance allows you to take a break or holiday while maintaining your post frequency & marketing. Schedule posts for the best times and days to get more views and engagement. If you don’t already have a blog post written, in the WordPress menu navigate to “Posts”, and click on the “Add New” option. Here you can edit your new blog post and save it as a draft. 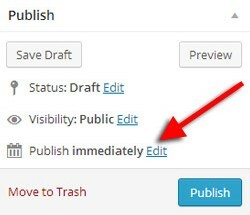 Once your blog post is ready, take a look at the Publish widget and click on the “edit” link beside the “Publish immediately” text. You can then set the date and time to publish your blog post and click ok.
Don’t forget to check the appearance of your blog post. Click the preview button and fix anything before it is scheduled to be posted. After setting the scheduled date and time you’ll notice the Publish button now says “Schedule”. Click it to confirm the schedule post time. Your scheduled posts will now be displayed in your “Activity” widget on the WordPress dashboard. Make sure you can see it without scrolling the page. If you can’t see it at all you’ll need to enable the “Activity” widget in the screen options menu. Here’s where plugins make scheduling blog posts even easier. 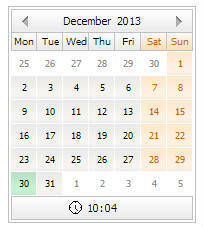 The Scheduled Posts Calendar replaces the default schedule interface with an easy to use pop-up calendar. If you’re publishing more than once a week or have several authors use the Editorial Calendar plugin to see all your scheduled blog posts within a drag and drop interface. That’s all there is too it! 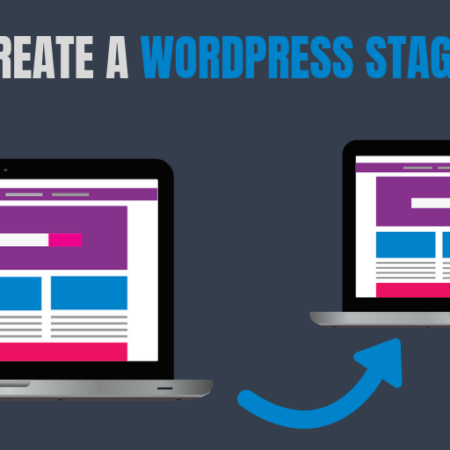 Go ahead and schedule those WordPress Blog posts now and get more out of your content marketing efforts. If you have a blog post schedule tip we’d love to hear it in the comments below.